Hosted VoIP companies are making their mark at delivering customer service, taking advantage of their unique position with their customers. Everyone has experienced the low standard setting level of support and service from large, traditional telecommunication carriers and even some of the larger VoIP providers. There are many Hosted VoIP providers who have taken the opportunity to create a higher standard of customer service and reset the expectations of the business community. With more and more businesses moving to a VoIP service from non-traditional telecom providers, the concept of a rising tide lifts all boats doesn't apply here. With declining business landlines, telecom providers have continued to outsource, offshore, or cut back their customer service resources, which simply has accelerated the trend. Certainly, there's more at play than customer service. The technology itself is a driving factor, as businesses are investing in the new technology to improve their own communication practices. Additionally, VoIP represents a new "bundle" when compared to the former approach of bundling transport (voice, data, video) or bundling features within each area of transport. With Hosted VoIP, the new bundle is that of your phone system and phone service under the same provider. How does this make a difference? Well, good Hosted VoIP companies provide consultation and custom programming of the system. In doing so, they get to know their customers very well. As changes are required and other opportunities for providing service arise, they actually know the customer and can service the business from that context. 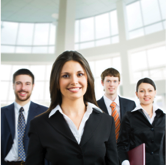 Not all Hosted VoIP companies leverage this opportunity. Some provide self servicing portals and/or deploy a call center approach to their technical support. Others, like sipVine, customize all of the system builds to meet the customer's unique communication needs and have built their support processes to direct customers to the specific team of support personnel with who are familiar with the customer. Imagine a phone company who really knows you when you call. Further, what if that same company provided you an extension that will funnel directly into a support team with whom you have worked with before? That's what I'm talking about as standard setting customer service! sipVine's Chief Technology Officer, Colin Wells, explains how sipVine has positioned the technical support organization to place the focus on customer service: "Where the VoIP technology is fantastic in breadth and flexibility, we believe that the best approach is to take a consultative approach with the customer from the outset. Our VoIP Solutions Specialists work with the business to understand their unique call flow and communications needs, and provide the design guides to the technical team. The technical team assigned to the system build for the customer also takes on-going service and administrative changes for that customer. Therefore, they are familiar with the customer when they call and drive home an experience that they never have had before with other providers." If that type of relationship is what you are looking for in your phone service provider, fully research potential VoIP providers with an eye for how they approach their system builds and handle customer service. Getting a quote from a sales rep is only one area of measurement. Find out their next steps and speak to a person who will be servicing your account in the future. If that person is one of many in a call center, you may not receive the customer service you are looking for, and certainly not what is possible to be delivered. Imagine this: You buy a car, but you can't drive it until you go to another company to get it turned on. And whenever there's a problem with your car, it could just as easily be the car itself—in which case you'd have to take it to a mechanic—or a problem with that second company that activated it. That's kind of what it's like to have phone service through a traditional phone company. The company provides the service itself, but the phones and any other related equipment are your problem. Doesn't it make sense to have your phone service provider be the same person who provides your phones and all the other related equipment? No more buying and maintaining bulky and expensive private branch exchanges (PBXs), and no more calling the phone company only to be told that the problem must be with your system, or vice versa. 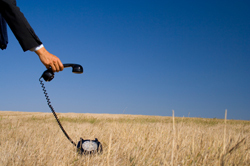 With hosted VoIP from sipVine, your phone service provider is also your phone provider! And there's no need for private branch exchanges or other bulky equipment. All that is handled in the cloud, meaning that all you need to invest in are hosted VoIP phones, which are completely supported by the same friendly and knowledgeable customer service staff who provide you with personalized assistance with your hosted VoIP phone service. That means no PBXs, no phone cabling, none of the hassle and expense that comes with installing and maintaining your own in-house phone system. Maybe best of all, it means that if something goes wrong, or if you have a question, or if you want to upgrade or make a change, there's only one number you call. 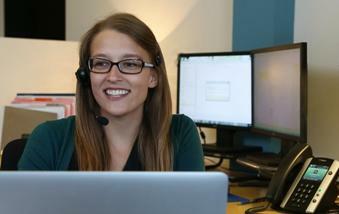 Whether you're dealing with your phone system or your phone service, you'll always call the friendly folks at sipVine. And because sipVine specializes in providing hosted VoIP phone services to businesses just like yours, we know the importance of good communication. That's why you'll always talk to someone who knows the needs of your business. 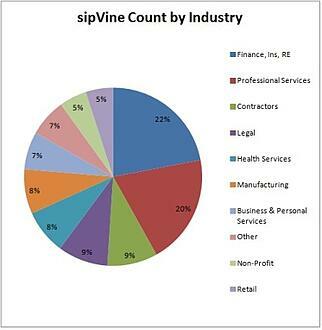 At sipVine, you won't be just another customer number, you'll be part of the sipVine family. Hosted VoIP offers businesses like yours unparalleled service, scalability, ease of administration, cost savings, and crystal-clear call clarity, not to mention all the features and options that you demand. Plus, it just feels right to get your phone service from the same place that you get your phone system. Tying the two together is just good business, keeping them separate just doesn't make sense. That's why there's no better time than today to leave the old phone company behind and follow your phone service to hosted VoIP. No matter what your company's needs, hosted VoIP from sipVine can deliver, so give us a call today, and let us show you what hosted VoIP can do for your business! 1. Your current phone system is out-of-date. Maybe you've got phones that are falling apart, the numbers are wearing off the keypads, wires are fraying, or maybe your phone system itself is getting old and failing, and parts or replacement phones are no longer available. And when you do place a service call, you get hit with a fee. Maybe your current system simply isn't delivering the call quality or range of features that your business demands. Whatever the problems with your current system, hosted VoIP can solve them, not just today, but down the road. With hosted VoIP, it's incumbent on your provider—rather than you—to keep the system and the handset line-up current. You'll never have to worry about obsolescence again. If your phone goes bad, you just replace it with a current model supported by your VoIP provider, rather than having to replace all the phones, or a whole system. 2. People get excited when they hear you can get caller ID. Difficult as it is to imagine, there are still plenty of phone systems in play that don't deliver caller ID to the phone! In this world of smartphones and mobile devices, that kind of feature seems so basic, but many people are over the moon when they hear that it's available from hosted VoIP. Imagine their excitement when they hear about the other enterprise level features you can get with your VoIP service, such as on-phone corporate directories, automated attendant features, customized on-hold music or messages, voicemail notification to cellphone, and many more! 3. You're ready to replace your on-site system. If it's time to replace your current phone system, you may find price-checking on-site systems to be a daunting prospect. You can pay more for an on-site phone system than you've probably spent on infrastructure for your whole office in the past two years. Not only that, but you'll have to dedicate internal resources to programming and maintaining the system. With hosted VoIP, all you buy are the handsets. Everything else, your dedicated VoIP provider brings to the table, and maintains for the long haul! 4. Your business is relocating. If you're moving your business anyway, there's no better time to leave behind that bulky private branch exchange system and make the transition to hosted VoIP. Try pricing out what it'll cost to move your old phone system—it's probably more than you can sell it for on Craig's List. Instead, try selling it to reseller, or leaving it as an incentive for the next client. 5. You've called your current phone company and had to endure the voice recognition routing process. Everybody's experienced it, and everybody hates it. Calling up, wading through a sea of ever-changing menus that never quite offer what you need. You never talk to the same person twice, and whoever you talk to certainly doesn't know you, your business, or how your phone system is programmed. Luckily for you, hosted VoIP from sipVine is different. Because we combine the phone service and the phone system under one umbrella, we can diagnose and treat any problem you may have in the same call. 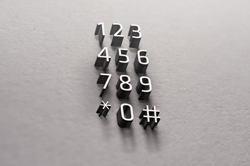 Additionally,because we put our service to our customers first, when you call us, you'll always be talking to someone who knows you, knows your business, and knows the ins and outs of your VoIP phone system. Whatever your reasons, if it's time to switch your phone service, then it's time to give hosted VoIP from sipVine a try. We know that once you do, you'll never go back. In fact, we're so confident of it, there are no long-term contracts to sign. We believe that our superior features, service, and call quality will be enough to keep you as a loyal sipVine customer, without having to wave contracts or cancellation fees over your head. Moving is one of the toughest and most complicated things that your business will ever have to do, but at the same time, chances are just about every business will do it at some point or another. According to the U.S. Census Bureau, around 40 million people move every year, and while there's no similar statistic for businesses, there are a lot of reasons why businesses might consider heading to greener pastures. The five biggest reasons that businesses decide to relocate are the need for upgraded or expanded facilities, labor and workforce issues, new market opportunities, an attempt to lower costs or increase cash flow, and quality of life considerations. Whatever the reasons, when it comes time to make a move, there's a lot to consider, and a lot to keep track of. As with any move, there's changing addresses, finalizing the deed or lease for the new place, selling or renting out your old location, managing the changeover, and, of course, moving all your stuff. But businesses face even more obstacles than homeowners when it comes time to move, and a business move can cost a lot if it isn't handled smoothly, not only in upfront costs but also in lost revenue. After all, a homeowner just has to get all their stuff from point A to point B, unpack the boxes, get the phones and cable and whatever else all hooked up, and so on. A business move requires you to do all that—and more—while still keeping your doors open as much as possible, not to mention changing signage, letterhead, marketing materials, websites, etc. Nobody wants to lose income—or even customers—due to a lengthy and complicated move. One of the biggest challenges businesses face when moving is staying in touch with their customers and business partners. You want your telecommunications access to be as uninterrupted as possible during the move, so that you don't miss any opportunities. That's part of why many businesses choose to leave their old phone system behind when they make the move to a new location. There are a lot of good reasons to leave your old phone system behind when the time comes to make a move. For one, contrary to what you might think, it'll probably save you money. Moving a private branch exchange (PBX) is expensive and complicated, and leaving it behind means that you can use it as a selling point for future tenants or sell it to a reseller to get some cash-in-hand. Meanwhile, you also won't be worrying about the down time that comes with trying to haul your old phone system to your new location and get it set up. Instead, try a hosted VoIP phone service, which can provide you with all the telephony services that you've come to expect, along with the crystal clear call quality that you demand, all at a significant cost savings, both up front and in the long run. Plus, if you're building out a new suite for your new location, you won't need to invest in phone cabling, as your hosted VoIP phones will share an Ethernet connection with your computers. Basically, all you'll need to buy are your phones, and the savings generated in the cable plant and not relocating your old system will often more than offset those modest upfront costs. Businesses all over the country are switching to hosted VoIP for its scalability, ease of administration, cost savings, and unparalleled service. And if you're looking at a business move in your future, there's no better time to make the switch to hosted VoIP phone service, and leave your outdated phone system behind forever.